The arts must assume a more central role in the intellectual life of the campus, and this goal should remain a priority even in the current bleak economic climate, a task force on the arts at Harvard exhorted in a December report. 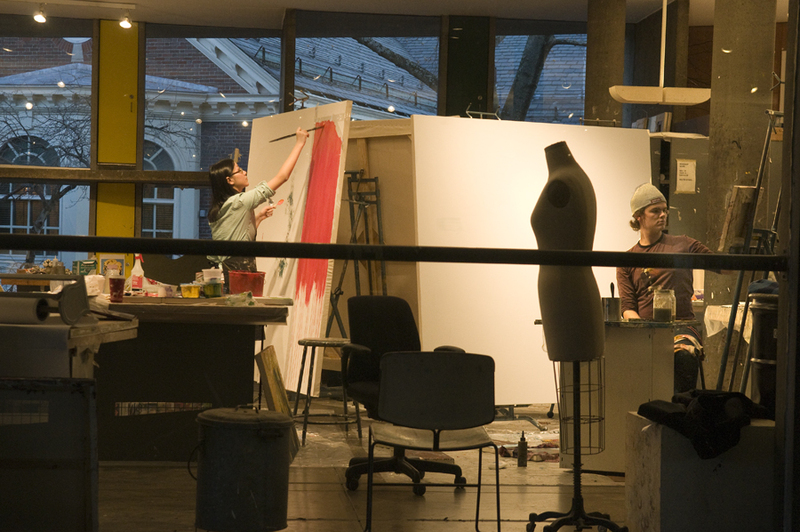 Toward the goal of putting the arts “on par with the study of the humanities and sciences,” the task force recommended launching new degree programs; incorporating more opportunities for art creation in the undergraduate curriculum; and building new space for the arts, as well as improving existing facilities. These undertakings will require “a substantial fund-raising effort,” the report noted. It offered three main recommendations. 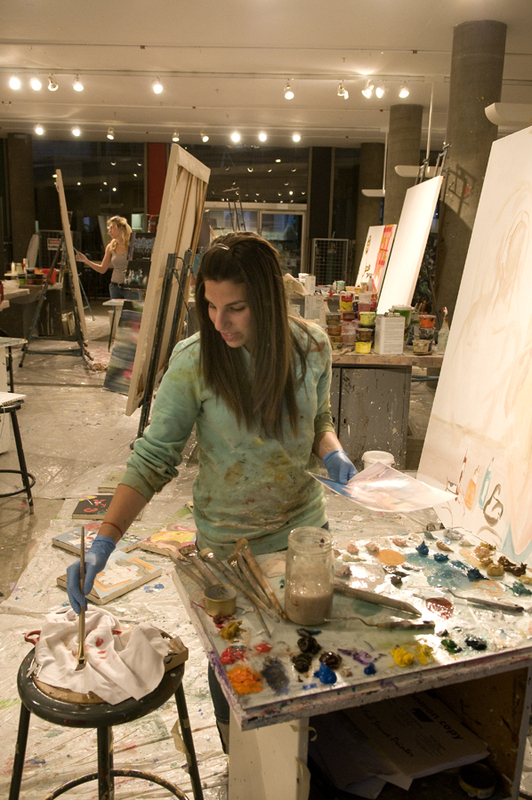 • Greater emphasis on “art-making” in the undergraduate curriculum. Just as the new general-education curriculum encourages science courses to incorporate lab work, the arts report encouraged professors—especially those teaching courses in the “aesthetic and interpretive understanding” category—to incorporate art creation as well as analysis and theory. • New graduate programs that culminate in a master of fine arts degree. • Investing in the construction of “new innovative arts spaces” and upgrading existing spaces. The nascent Allston campus represents an opportunity “to bring into being precisely the architecturally exciting structures that will enable the innovations for which we are calling,” the report said. It traced the outlines of a center for the arts in Allston that brings together artist and scholar, creator and viewer, rehearsal and performance, classroom and museum. Three of Harvard’s peer institutions have major arts initiatives under way: Yale is in the midst of a $3.5-billion capital campaign that includes $500 million for its already prominent schools of architecture, art, drama, and music. Stanford’s capital campaign envisions a major expansion of creative-arts programs and faculty, and creation of a comprehensive “arts district” lining both sides of the main road into campus. Princeton also has major arts facilities in the works. Especially in difficult times, when ways of thinking and doing that we have taken for granted are challenged…we must encourage our students to ask fundamental questions and to solve problems in the inventive and collaborative ways exemplified by the making of art. Art produces experiences and objects that are carefully constructed and intricate reflections of the world. Empathy, imagination, and creativity are forms of knowledge that a university must foster in its students.…In times of uncertainty, the arts remind us of our humanity and provide the reassuring proof that we, along with the Grecian urn, have endured and will continue to do so. Now is the time to embrace, not retreat from, the arts. Faust said she is working with the schools that would be involved in creating the new graduate programs. The report recommended swift formation of a task force to begin that process; Faust declined to give a time frame for any initiative, but noted that the $100-million gift the University received last year from David Rockefeller ’36, G ’37, LL.D. ’69, included money designated to support the arts (see “A Giant’s Gift,” July-August 2008, page 57). As for the arts facilities in Allston, Faust said the administration is examining the entire Allston plan “with great scrutiny…recognizing that the pace that seemed the logical one a year ago” may no longer be viable. She noted that the Allston plan always included space for the arts (see “Art Museum Two-Step,” January-February 2008, page 62). Beyond its three main goals, the report incorporated a number of subsidiary recommendations, from the simple (creating a centralized event-listing service) to the more complicated (a renewed agenda for art acquisition, which dropped off precipitously in the 1960s). It also advocated another complex undertaking: reviewing hiring and tenure guidelines to increase flexibility and thereby enable the hiring of more professors of arts practice, while maintaining high standards. The report also notes things that Harvard does well, and progress thus far: McKay professor of the practice of biomedical engineering David Edwards teaches a course on idea translation that bridges art and science; a five-year program allows undergraduates to combine a bachelor’s degree at Harvard with training in music at the New England Conservatory; a new doctoral program (a collaboration between the departments of anthropology and visual and environmental studies) explores the intersection of ethnography and filmmaking; and another new Ph.D. program, in film studies, was recently approved. Read the online version of this article at www.harvardmagazine.com/breaking-news/new-vision-for-the-arts for a more complete account, as well as links to earlier articles, the task force report, and President Faust’s statement.